CliMate Sports Scarf is a product created to provide for the protection and comfort needs of outdoor sportsmen. Getting your neck hammered by the sun as you reel in your fish of a lifetime or freezing to death on a chilly morning on your paddle ski need no longer be an issue. 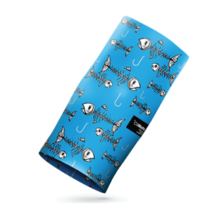 The SportsScarf is a UV protected, seamless tubular scarf that can be stretched and manipulated into multiple headwear styles that suit all types of activities. From scarf to beanie, headband to full balaclava, the options are endless. It’s for fishermen, cyclists, paddlers, runners, hikers, hunters and all outdoor enthusiasts! The high quality, highly elastic fabric allows for total freedom of movement. 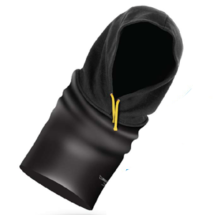 High Tec Polyester Microfibers allow the skin to breathe while avoiding irritation and rubbing. Moisture evaporates rapidly through the fabric and away from the skin, quickly cooling you down and regulating body temperature. In cooler weather, it acts as a traditional scarf and warms you up quickly in the cold. The CliMate SportScarf is a highly versatile product that will protect, temperature regulate and moisture manage, all contributing to a much more comfortable and safer outdoor experience, no matter what your sport!